Stampin' Dolce: Dolce Stamp Clubs - come try it! 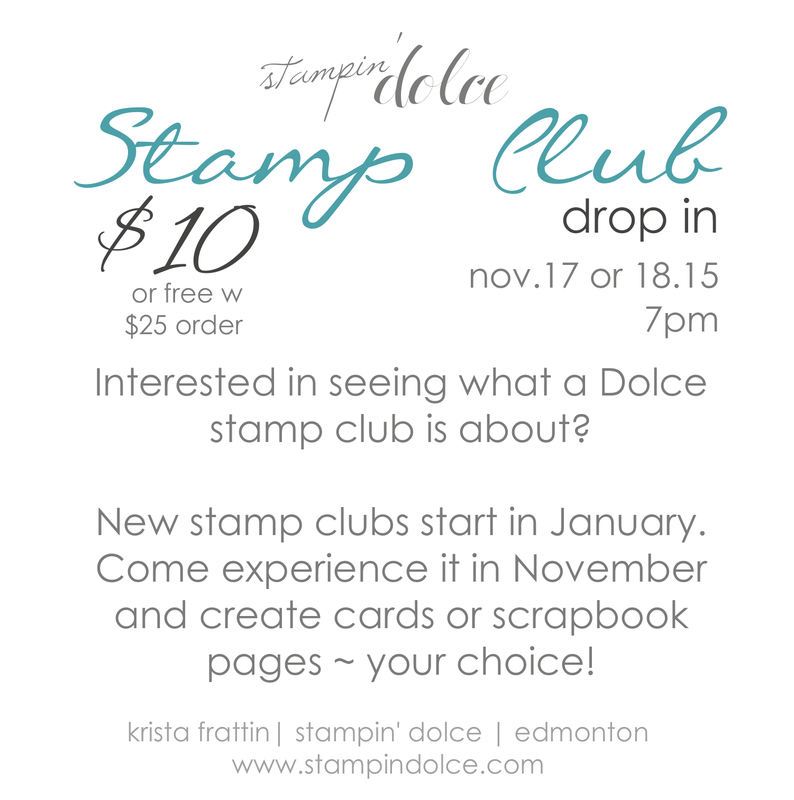 Dolce Stamp Clubs - come try it! I have a new round of Stamp Clubs staring in January and would love to have you come stamp with us in November to see what it is all about! 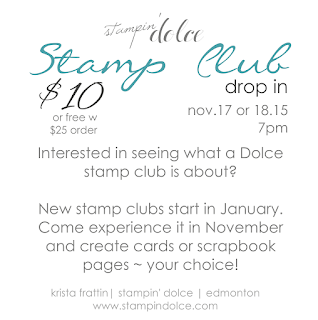 You are invited to drop into a stamp club event on November 17 or 18th at 7:00 PM. Please send me a message if you are interested in attending. All levels, from beginner to advanced, are welcome. Some of you may have never stamped with me before - come on by! Some of you have been in stamp clubs in the past and are missing the fun - come on by! 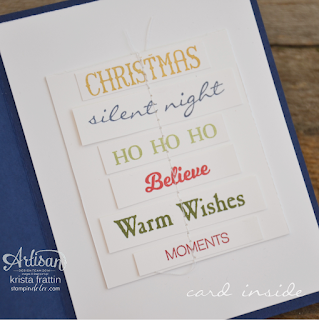 Stampin' Dolce stamp clubs create two handmade cards or two 12x12 scrapbook pages. It is you choice as to what you create. The drop in fee is $10. If you place a $25 Stampin' Up! product purchase (plus shipping and tax) the $10 fee is waived. I hope to see you next week!! Have a creative day!